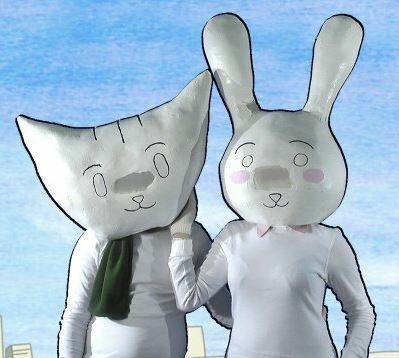 The origins of ‘Cosplay’ – short for ‘costume play’ – are often up for debate. A widespread opinion is that it’s from Japanese culture, yet the ideas have been around in the United States for many years now. It’s hard to argue against the recent success of Cosplay coming from Japanese culture in association with anime, manga and video games, but over the past decade or so this has spilled over more and more into the US, UK, Europe and beyond. It’s a worldwide phenomenon that has loyal and passionate devotees who spend hours, weeks and even months working on their creations, whether it’s a real-life version of a character’s outfit or even an original piece. ISIS Entertainment have released the world’s first feature documentary specifically on the UK Cosplay scene, Cosplayers UK – The Movie, and aims to capture the enthusiasm and talent in the ever-growing scene. What’s It About? 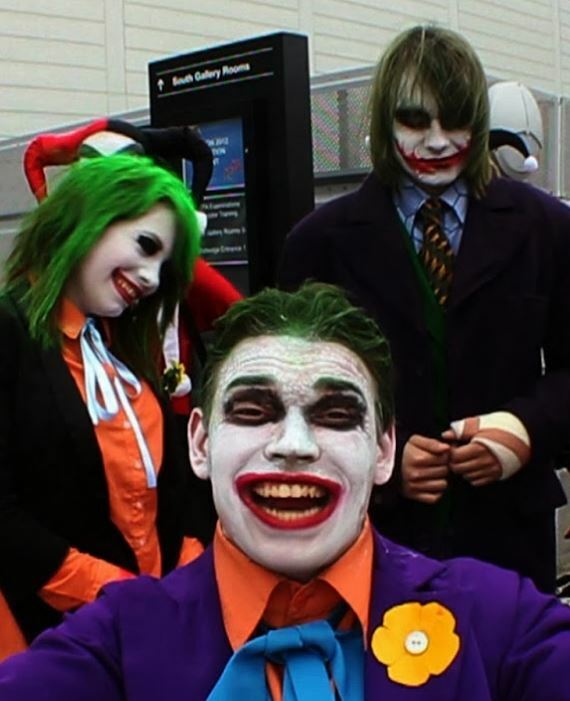 Directors Ed Hartwell and Johnnie Oddball took their cameras to the MCM London Comic Con back in 2011 in order to capture an event which is arguably the most popular in terms of Cosplay in the UK. As someone who has personally been attending conventions for over a decade now, it has been very interesting to see how MCM have developed and changed their event from a general movie/TV signing event to a multimedia one which covers film, TV, video games and, most of all, everything to do with Japanese culture. Cosplay is something that covers all of these bases, depending on what you’re interested in. Whether it’s classic movies like Dark Crystal or Teen Wolf, video games like Final Fantasy, or even obscure online cartoons, Cosplayers UK manages to show the depth of the Cosplay pool and just how far it extends to include hundreds of different fandoms. The documentary looks to capture the excitement, the camaraderie and life-changing nature of Cosplay by interviewing a number of cosplayers who come to the hobby in a variety of ways. Some are shy and withdrawn and Cosplay has enabled them to develop friendships and come out of their shells more. Others do it for the dedication to creating something special. It’s far more than just ‘dressing up’, which is an easy way of looking at it initially, and the film delves into the blood, sweat and tears that can go into some costumes. Whether you want to spend half a year on a costume or simply buy something and wear it, it seems the message is that Cosplay doesn’t discriminate but instead looks to bring everyone together as much as possible. You can compete if you want, or just have a fun time. It is what you make of it. Verdict: At the heart of it, Cosplayers UK has a good message, and it’s always nice to see something that can be misunderstood and judged easily on the surface turned around and painted in a positive light. For those who aren’t familiar with it at all, this is a fun look at Cosplay and a nice encouraging starting point. As it was made in 2011, it does now feel like it’s a little behind the times as the industry moves quickly and has become far bigger than this documentary shows. In 2014, Cosplay is better than ever with the best Cosplayers nearly as popular at events as film/TV stars, and their creations far beyond anything shown. Cosplayers UK does present a nice view of a particular time in the history of MCM and Cosplay itself. The film’s production values are a little disappointing and give it the feel of something you could have put together yourself on a home PC and editing suite, especially when Sneaky Zebra’s Cosplay music videos on YouTube, for example, show how incredible Cosplay videos can look. However, you do have to admire Cosplayers UK for pushing the positives of Cosplay and the message is something that stays true right to the present day. Final Words: As a first look at the UK Cosplay scene, Cosplayers UK – The Movie is an interesting offering. While interviews and presentation could be better, the film will give you an admiration and appreciation for Cosplay and perhaps a better understanding of the motivations behind those that take part. If anything, it will encourage you to investigate the hobby further and see where it goes in 2014 and beyond. I would definitely be interested in an updated project like this as the subject matter has a lot of depth and deserves recognition. Cosplayers UK – The Movie is available on DVD now at Amazon.